You wouldn’t believe what this family thinks of their beloved dogs, really I’m touched and moved to the point that I think this family just set an example. This family has just made it clear to the world that come what may, they will never leave their fur babies alone. 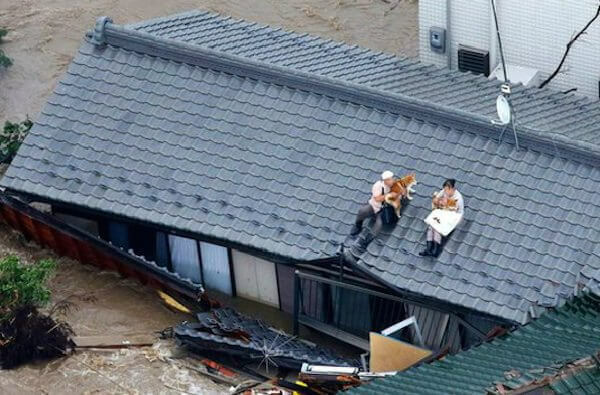 In the city of Joso, a city which is north of Tokyo, Japan, a flash flood emerged on the 10th of September 2015 which severely destroyed everything it came in contact with. Not only that, approximately 90,000 people were evacuated, but others were still waiting for their turn. There were some who were dangerously stranded on roof tops hoping that they will be safe as the raging waters continued to snake throughout the city. They had to hold on to hope because with floods, there’s always a risk. 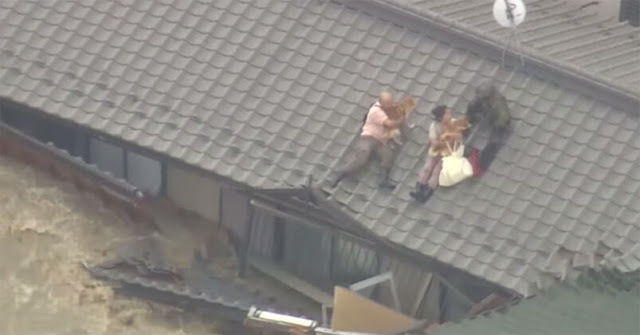 To save those stranded on roof tops helicopter rescue teams were deployed and to their surprised and amazement, one family was holding tight to their pups – two Shiba Inus! As soon as help arrived, the family and their beloved fur babies were airlifted to safety. 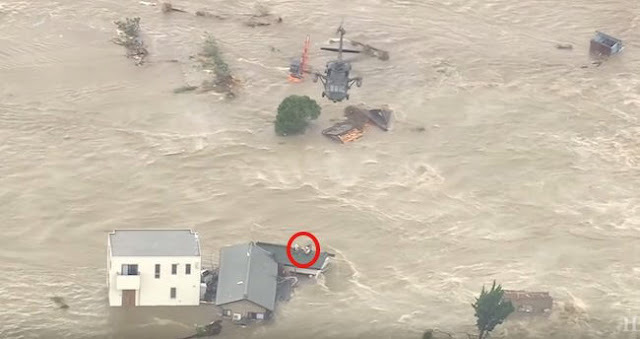 What we’ve come to know is that entire homes were swept away after the Kinugawa River’s bank burst. In fact, during that period of time, the region faced more than twice the amount of monthly rainfall in a day. I really don’t know what to say, I mean my heart was up my throat when I saw this and that family just set an amazing example. I’m so happy that both the family and their fur babies were rescued and that they managed to be saved in time 🙂 If you’ve seen the entire video, don’t forget to share it with your friends. Let’s show the world what pets mean to some people.